This is a collection of articles, essays, and blogs (or web logs) that relate to the issues and controversies surrounding Iran, Iran and economic sanctions, and Iran’s nuclear program. For years, to give a single example, on anniversaries of the Iraq invasion, my hometown paper, the New York Times, called on the very figures who had gotten it wrong or actively helped make it wrong to assess the war, to tell us just where we were. Now, the urge to surge once again seems to have parts of the polity in its grips, as 58% of Americans in a recent Pew poll favor someone using military force to stop Iran from getting nuclear weapons. (Of course, in a recent CNN/Gallup poll, 71%were already convinced that Iran has a nuclear weapon!) At this very moment, the experts being called on are regularly those who were “wrong on the hawkish side.” Meanwhile, the Republican candidates (Ron Paul excepted) are all but swearing they will launch a war on Iran if elected. In the midst of this, remind me: Is anyone in that mainstream world checking in with those who were “accurate on the dovish side”? If so, I haven’t noticed, and I’m not holding my breath waiting for them to do so either. . . .
WASHINGTON — Even as the United Nations’ nuclear watchdog said in a new report Friday that Iran had accelerated its uranium enrichment program, American intelligence analysts continue to believe that there is no hard evidence that Iran has decided to build a nuclear bomb. . . . 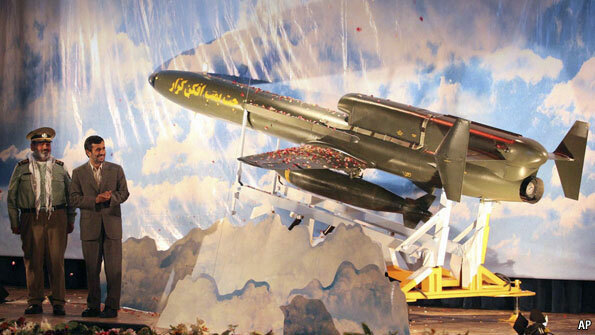 The presumed aim of an attack by the United States and/or Israel on Iranian nuclear and military facilities would be to weaken the Islamic Republic, particularly by hindering its ability to build a nuclear weapon. However, the history of the Iraqi invasion of Iran in September 1980 calls into question the contention that an attack will weaken the regime in Tehran. Iran’s security policies, and its policy outlook more generally, have been shaped enormously by the country’s experience in the Iran-Iraq War. As the Iranians themselves continuously point to the lessons of the war and their bearing on the present day, it behooves policymakers to follow suit. . . .
Why not a Middle East nuclear weapon free zone? Photo Source: In Iran, Iranian Foreign Minister Ali Akbar Salehi meeting with Jaakko Laajava, Undersecretary of State in Finland Foreign Ministry; “Salehi also said that the Zionist regime is the only country in the region that possesses nuclear weapons,a fact which poses a major threat to security in the region. He added that the conference should focus on this issue and the fact that the Zionist regime shows no commitment to the International Atomic Energy Agency,”Iran innovated idea of nuclear-weapons-free Middle East: FM, Tehran Times – Political Desk, January 16, 2012. . . . I view this Conference as especially important, both because the 1995 Resolution on the Middle East was part of the “package deal” that led to the indefinite extension of the Treaty, and because the NPT States Parties gave the UN Secretary-General several responsibilities concerning the organization of that event. In this sense, the fate of the initiative to establish a WMD-free zone in the Middle East clearly has ramifications far beyond the region itself. It has in some respects now become a global issue, whose fate has attracted the interest of all States. . . .
An Iranian warship and speed boats take part in a naval war game in the Persian Gulf and the Strait of Hormuz, a waterway crucial for global oil supplies. Reuters/Fars News. The administration’s strategy is based on the assumption that cutting Iran out of the oil market will not substantially impact world oil supply and prices. Saudi Arabia can step up production to cover the loss of Iran’s export of 2 million barrels a day. But it is not clear whether Saudi Arabia actually would increase production to compensate for the loss of Iranian oil. Iran has clearly started a charm offensive with Riyadh to influence the Saudi decision. Iran’s intelligence minister recently visited Riyadh to reduce tensions between the two countries in the wake of the alleged Iranian plot to assassinate the Saudi ambassador to Washington, and the Iranian Navy has claimed that it rescued a Saudi ship from pirates. . . . But the picture is more complex than it seems. As we leave a tumultuous 2011 and enter an uncertain 2012, it certainly looks like oil will get more expensive—perhaps significantly more expensive, if Iran moves to close the Strait of Hormuz as it’s been threatening, potentially blocking off as much as 15 million barrels a day. Even if the U.S. Navy prevents Iran from closing off the Hormuz spigot—as the Fifth Fleet has promised to do—the possibility of armed conflict in the Persian Gulf would surely send oil traders into a panic. Yet there’s also the chance that oil prices could fall—and fall very, very far. There’s just one catch: it would require another global recession. . . . Tighter Sanctions On Iran: An Alternative to War — or a Road to War? Iran, oil, and nuclear weapons: Is there an ‘optimistic’ prospectus? Photo/Iran denies its uranium enrichment programme is aimed at developing nuclear weapons [EPA]; Turkey hosts Iran nuclear talks – Middle East – Al Jazeera English. In terms of the geopolitics of oil and gas, and the Islamic Republic of Iran (“Iran”), OilEdge characterized what many deem the pending crisis of Iran, and borrowing from the title of its article, as “an oil giant being held back” (Review: Iran – an oil giant being held back, OilVoice, December 8, 2010). In the opening sentence or even salvo of its article, OilEdge appropriately queries: “Is Iran about to embark upon a ‘new era’ in terms of its oil industry, as Oil Minister Masoud Mir Kazemi suggests?” In response, OilEdge speculates “possibly so”. . . .
“Air strikes again are the only plausible option with any prospect of preventing Iran’s acquisition of nuclear weapons.” This is the studied opinion expressed in a New York TimesOp-Ed piece written by Alan J. Kuperman, director of the Nuclear Proliferation Prevention Program at the University of Texas at Austin. He argues that incentives and sanctions will not work, but air strikes could degrade and deter Iran’s bomb program at relatively little cost or risk, and therefore are worth a try. He agrees that Iran could retaliate by aiding America’s opponents in Iraq and Afghanistan, but it does that anyway. Bomb Iran?, Renovo Media, December 8, 2010. . . . It should also now be common knowledge that any discussion of these issues necessarily entails equal consideration of the issues and/or consequences of Israel’s nuclear weapons program and nuclear proliferation in the Middle East. As earlier stated, “Borrowing from the jurist’s tool, if the issue sub judice is the proliferation of nuclear weapons by Iran in the Middle East, then a critical sub issue might also be the proliferation of nuclear weapons by Israel in the Middle East, thus, presenting the issues of Iran and nuclear weapons, and Israel and nuclear weapons” (Killion, 2010). In the context of Israel, the issue, more particularly, is the relation of Israel’s policy of opacity and nuclear proliferation. According to Israel’s nuclear weapons program and attendant policy, as Avner Cohen and Marvin Miller (Bringing Israel’s Bomb out of the Basement, Foreign Affairs, September/October 2010) explained, “This posture is known as nuclear opacity, or, in Hebrew, amimut”. . . .
Photo: A new drone poses with the president. IT WAS meant as a marker for the world’s readiness to accept Iran’s right to benefit from the peaceful uses of nuclear power, despite its provocative behaviour. By this reasoning, the fuelling this week by Russia of the Bushehr nuclear reactor, Iran’s first power-generating nuclear plant that is due to start supplying electricity to the national grid by year’s end, could help persuade the regime to return to the negotiating table over United Nations demands that it suspend more troubling nuclear work. . . .
(U.S.) H. R. 2194 (Enrolled-Bill) – Comprehensive Iran Sanctions, Accountability, and Divestment Act of 2010. In the media in general, there is a great deal of debate concerning Iran and its growing potential to develop nuclear weapons, though Iran rightly maintains that it has the right to develop nuclear power for peaceful purposes. Borrowing from the title of a recent Washington Post (Erdbrink and Branign, 2009) article, “In Iran, nuclear issue is also a medical one.” This is because, “In Iran, an estimated 850,000 kidney, heart and cancer patients are facing a race against time. 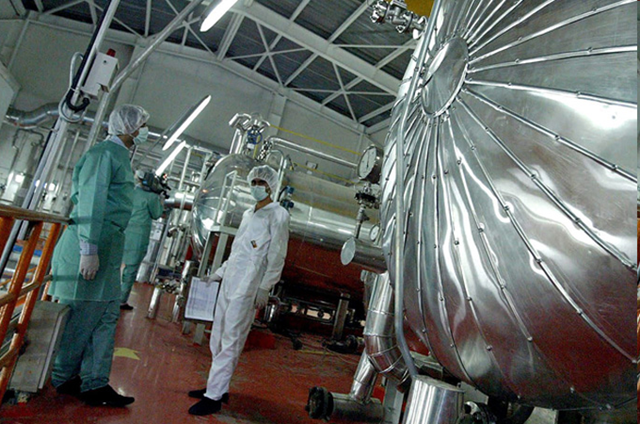 Although these patients are in need of post-surgery treatment with nuclear medicine, doctors and nuclear scientists here say domestic production will dry up when a research reactor in Tehran runs out of fuel, perhaps as soon as this spring” (Erdbrink and Branign, 2009). A problem is that the suspicions of Western countries may be so strong that they threaten the availability of nuclear medicine. . . .